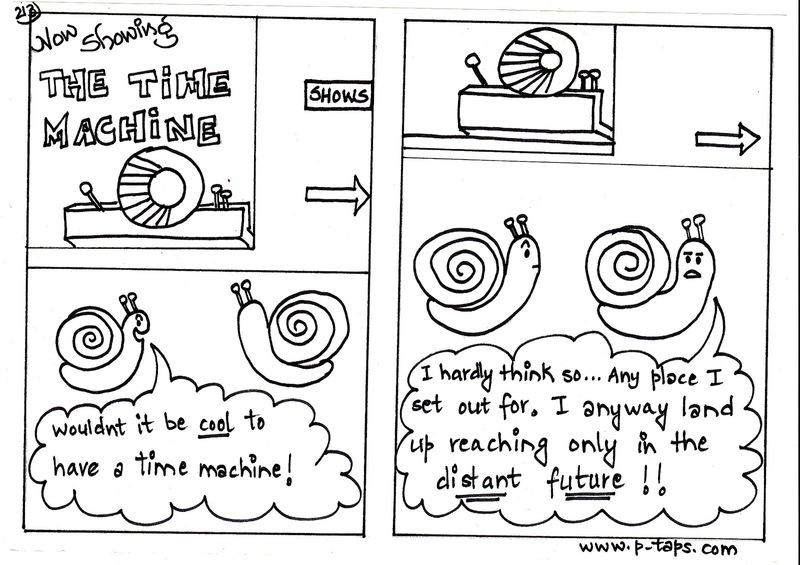 SNAIL - Wouldnt it be cool to have a time machine! 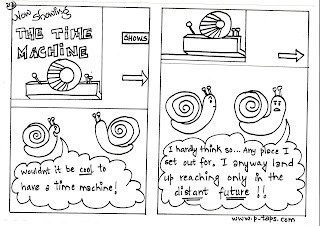 WARP - I hardly think so... Any place I set out for, I anyway land up reaching only in the distant future! !